By Suzanne Stevenson, Director of Software Engineering at Travix At Travix, we want people to feel they can innovate and have the freedom to use their imaginations and creativity. 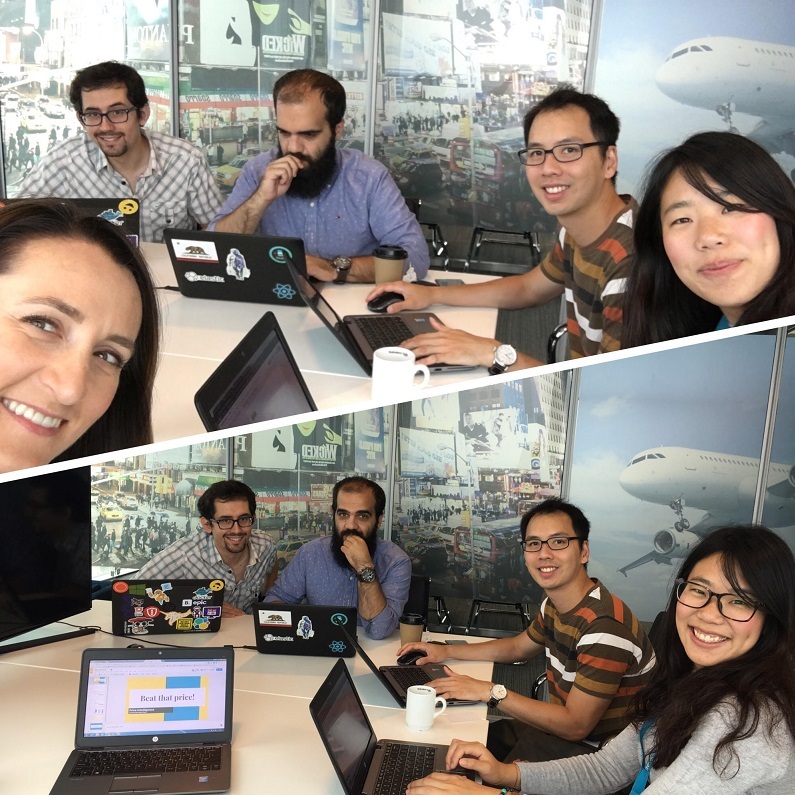 So we challenged a group of 70 employees with a broad range of disciplines and backgrounds, spread out over 11 teams, to do just that in a recent hackathon. 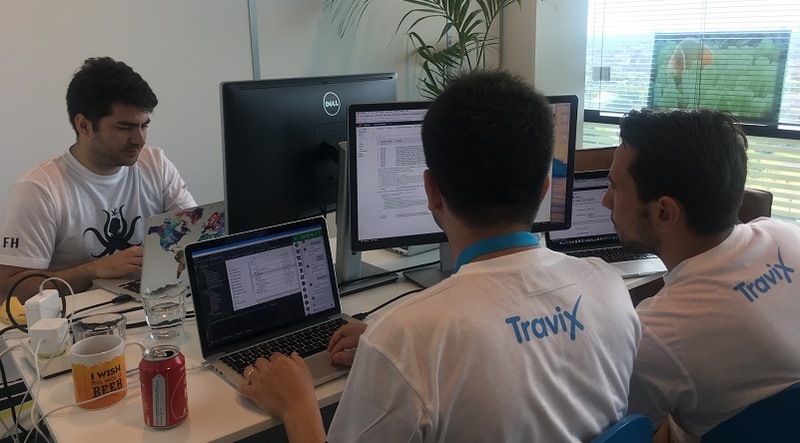 The 24-hour hackathon took place at the Travix Amsterdam office in July and the theme of the hackathon was ‘Back to the Future’. The idea was that, if you were able to visit the future a few years ahead, in 2025, and then returned back to present time, what would have been the things you observed there that you could leverage and apply now in the business? Some of the most competitive teams had done some pre-work leading up to the hackathon, but when the time started, everyone disappeared to their corners all over the office and got to work. We provided the teams with food and drinks throughout the 24 hours to keep them energized. Several teams worked through the night and into the next morning. Some people even slept in the office. The participants really threw themselves into it. It was great to see the focus, competitiveness and ideas coming to life. At 10:30 the next morning, the judging commenced. The judging panel consisted of various senior Travix representatives and executives. Each team had 10 minutes to present to the judges and the audience, consisting of fellow teammates and other colleagues passing through to catch a glimpse of the action. After the presentations, the judges deliberated for 10-15 minutes and Chief Product & Technology Officer Rob McDonald presented the awards to 1st, 2nd and 3rd place winners. In first place was the Nemesis team. The team’s idea was an itinerary planner where users can add multiple flights to a shopping cart and checkout with one booking and payment. The really appealing thing about this concept is that it directly builds on what we’re doing now and takes it to the next level. It’s feasible, easy to grasp and implementable. The team also had a funny, interactive presentation with no staged data and no presentation slides. They used real-time data and real-time requests. In second place was the team, Finding Dory. Their concept was about delivering more personalized travel offerings, through content and email marketing to customers based on dynamic clustering. The idea utilizes the nirvana of machine learning, a stepping stone to full artificial intelligence (AI), where the travel software learns from customers’ travel data inputs. The presentation was very smart and well done and really appealed to the judges. The third place team was Kraken. Their proposed service centered around the use of voice activation to make online travel bookings. They used Amazon’s virtual assistant, Alexa, to complete a travel booking from beginning to end using only voice activation. Using real voices and only real-time data in their presentation made it very engaging. Voice activation is very popular now and a few of the other teams in the hackathon also proposed ideas using voice activation. Participants in the hackathon said they had a fantastic time. They enjoyed building cool, new things and getting to work with colleagues in a different way than they normally do in the office. And I was especially proud because two of the three winning teams were from my team at Travix! Where do the brilliant ideas go from here?